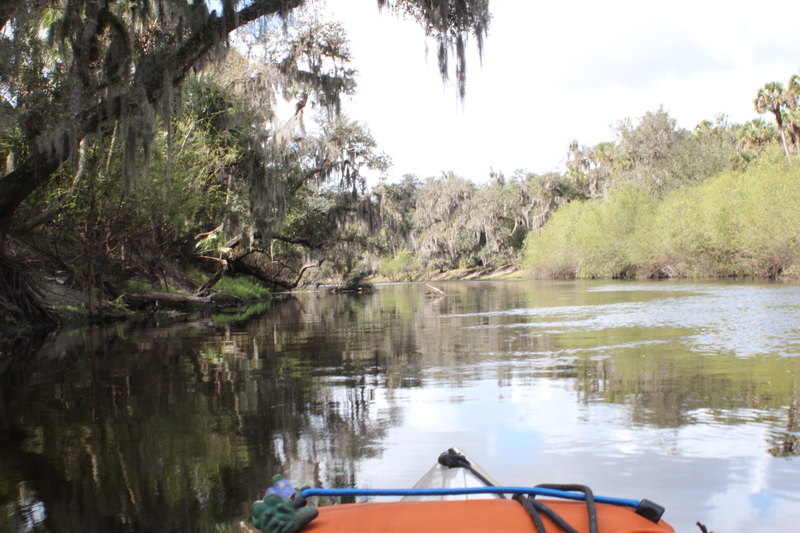 The thought that one must encounter when paddling this river has to be the one that whomever, or however the name ‘Peace’ was ever attached – it was indeed the correct choice. 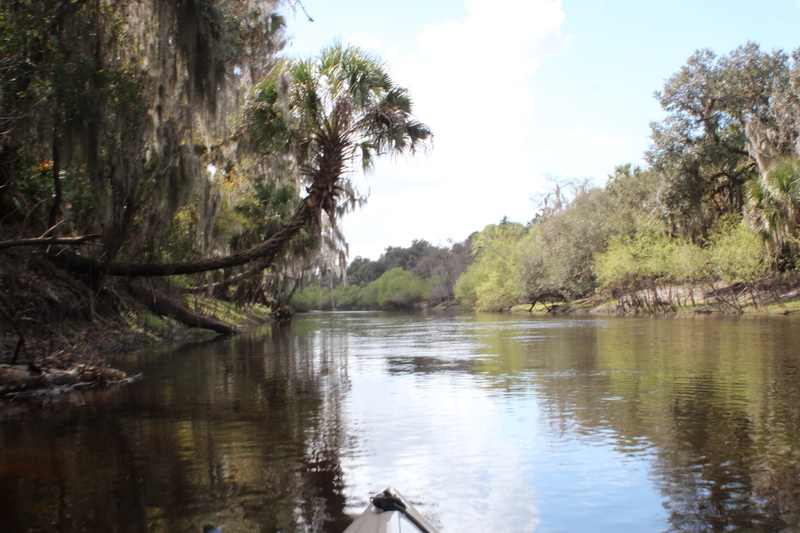 Peace river is a 106-mile watershed of sorts which runs from Bartow, Fl to Charlotte harbor on the Gulf – a good portion is a designated paddle trail. 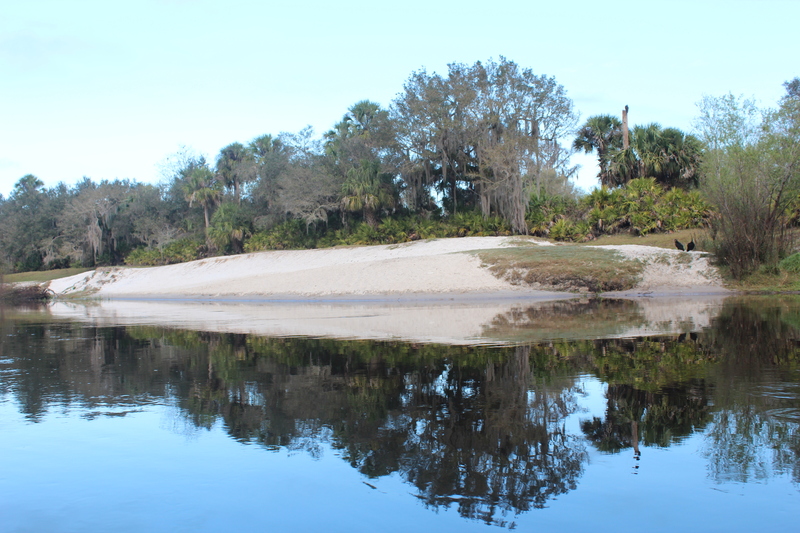 The waters of the river hold significant ecological value to shellfish life within the brackish harbors below. 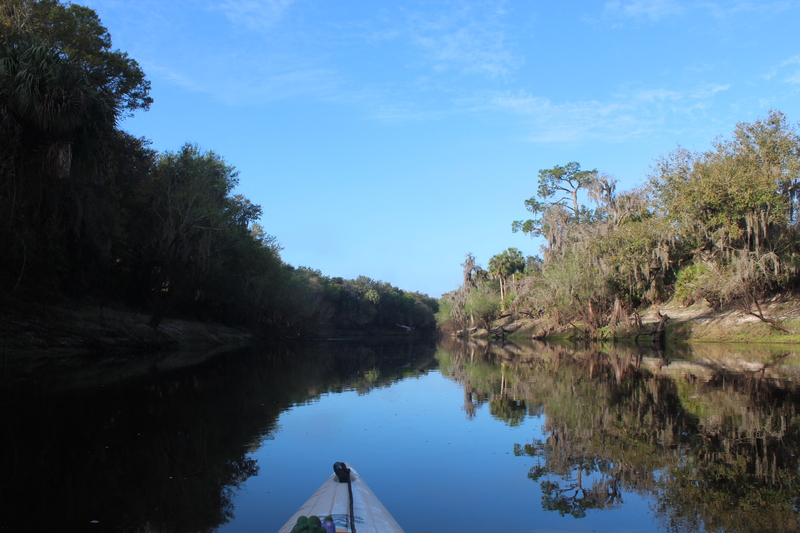 I’ll start by saying that it is not my intent to insult the river by calling it a ‘ditch,’ but – as a native to this area my approach was to begin my paddle trip on the Peace with this fundamental mindset. 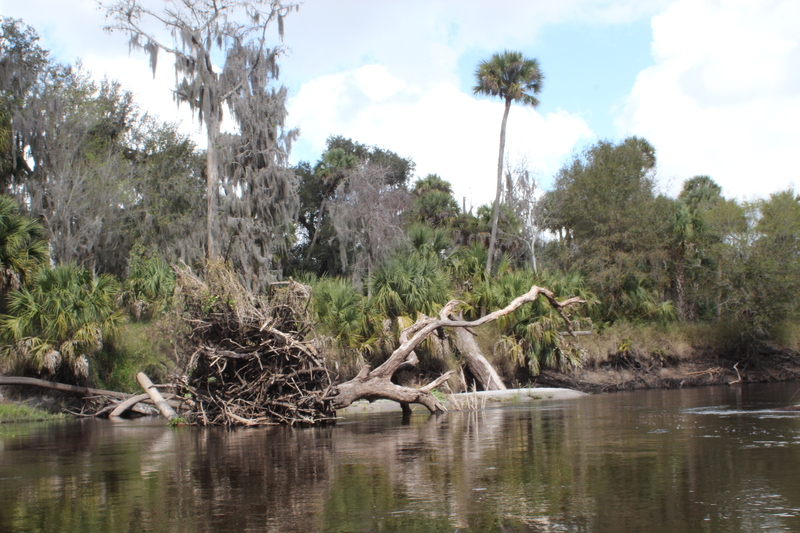 In retrospect, this section of the Peace river was indeed as fundamental as all waters flow, yet the natural corridor of the river area strongly conveys certain ‘wild’ characteristics in which other Florida rivers have lost with civilization. Even with the cattle, my perspective of the ‘Natural Quality’ was a 9+. 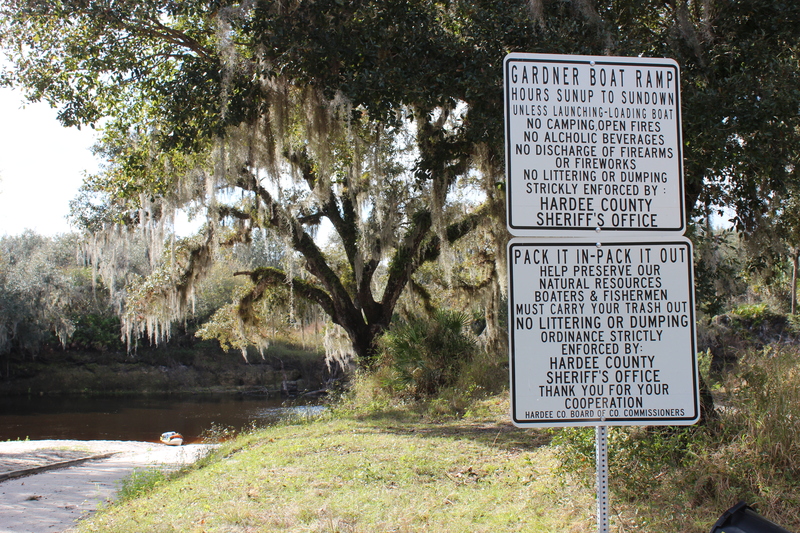 There are few homes along this section of river. 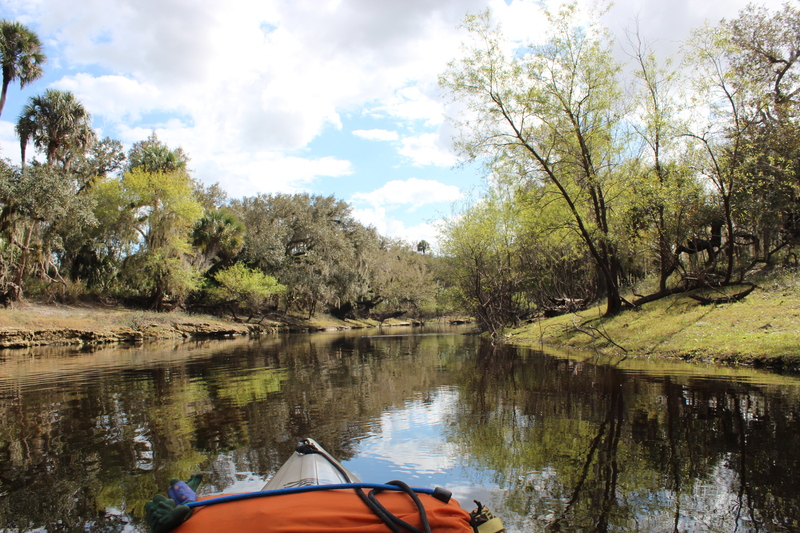 – thus was my state of mind easing onto the water from Pioneer Park in Zolfo Springs, towards Arcadia – @33 miles (as the crow flies). 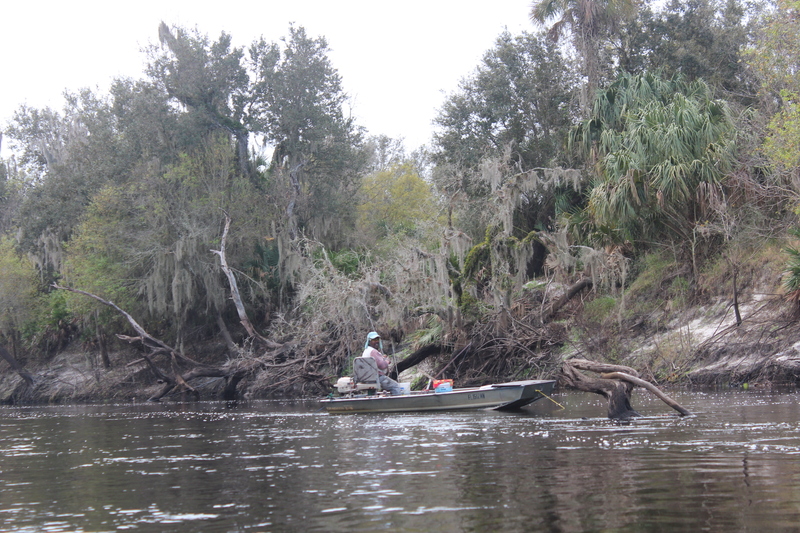 With no idea of time or actual river distance – I put-in 930am – told the outfitters in Arcadia that I’d be out two nights – they’d come look for me after the third. 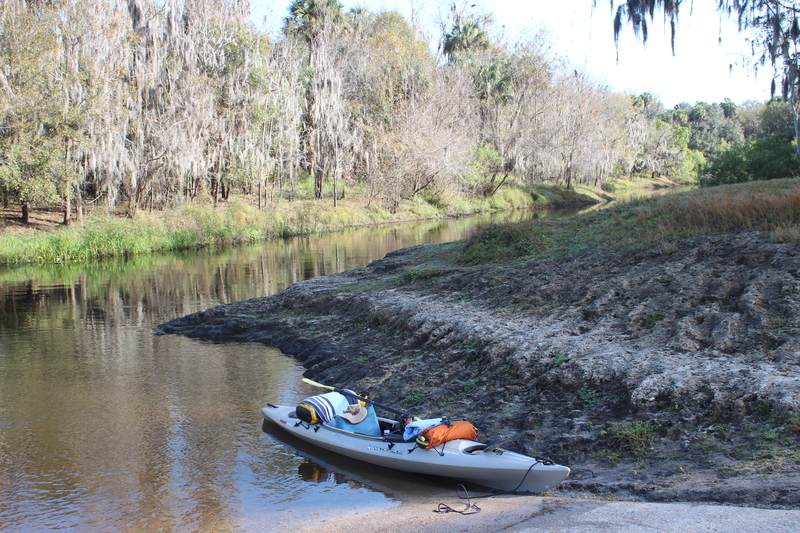 I wanted to put in at Bartow, but a lack of rain had the section questionable – this paddle of Zolfo to Arcadia would provide an abbreviated idea of what to expect for that spring Bartow to Arcadia paddle (when the gators are ‘frisky’). 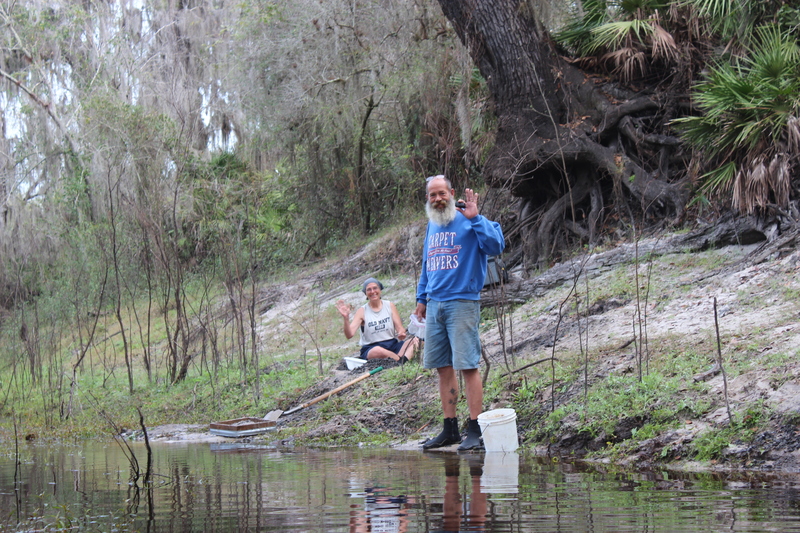 Contact the Canoe Outpost (Beth, Allison, Trent) for water conditions. At 11″ above normal the current is a mellow one, not a ‘free-ride‘ by any means – but a very casual opportunity to enjoy the geology and ecology surrounding this river. Plenty of time to ponder the amount of time that it takes to erode shore line enough to drop a hundred and fifty year old oaks into the Current. 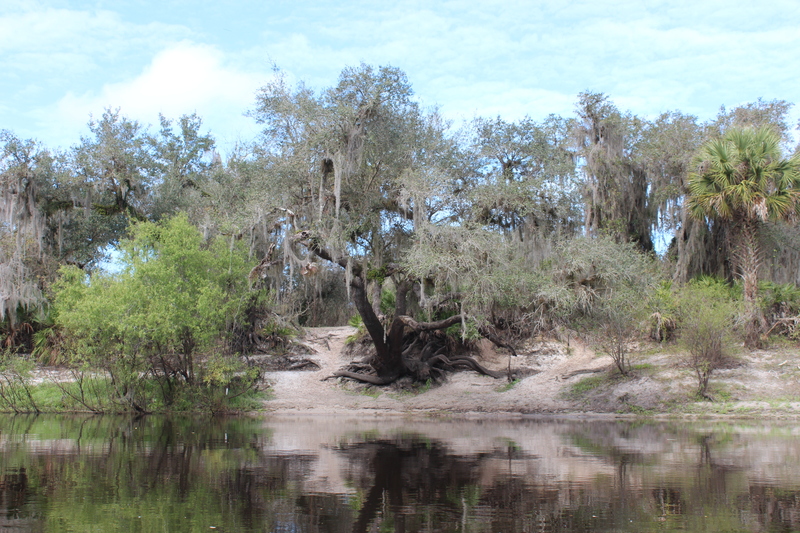 But that wasn’t anything – within the terrain you can see the erosion patterns (much like the Mississippi’s river lakes) of the waters actions eons ago as waters receded and worked a niche through this land. Food for thought, basic muses. 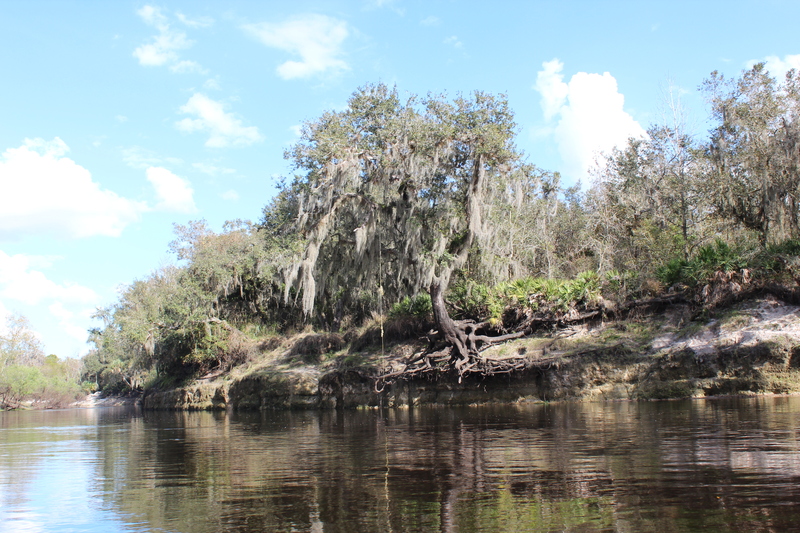 Then a contrasting beauty of shores carved from ancient limestone – similar values within the Holden Creek area of the Suwannee river – same basic geology, millions of years of wear. 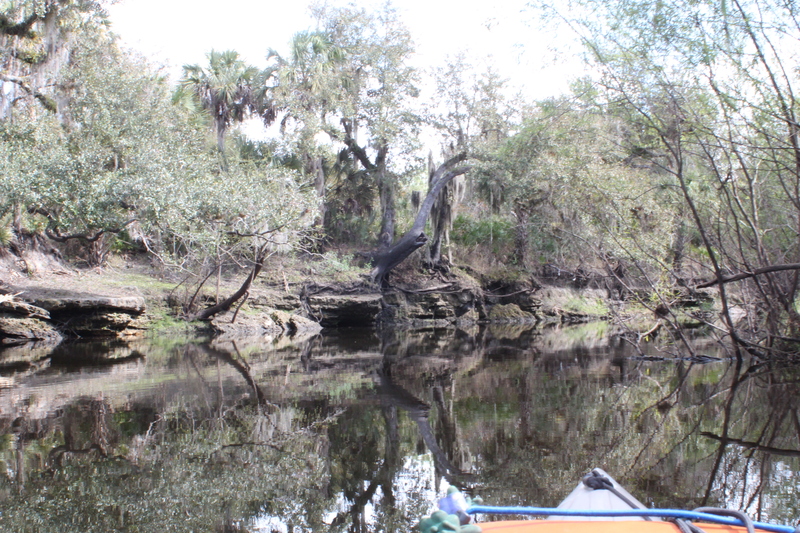 There rock formations within the land create slower ‘pool’ (paddle) sections of the river. 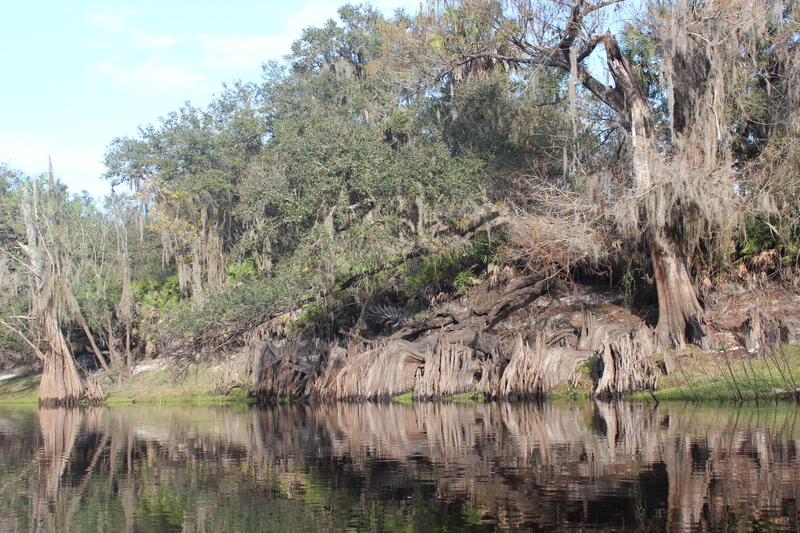 Those ‘pool-like’ areas of slow water are areas that alligators thrive on turtles/birds and weak or wounded animals. 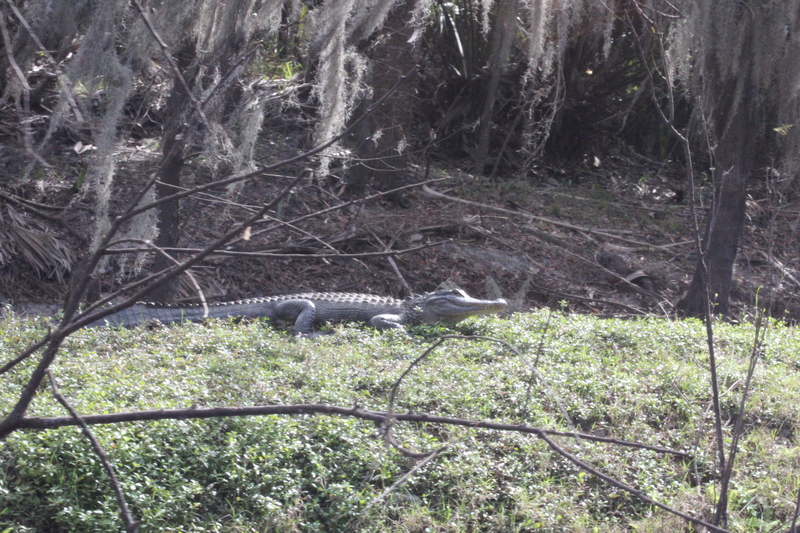 Throughout the two day paddle there was an abundance of small gators (3 to 5 ft range) along with fewer larger ones. 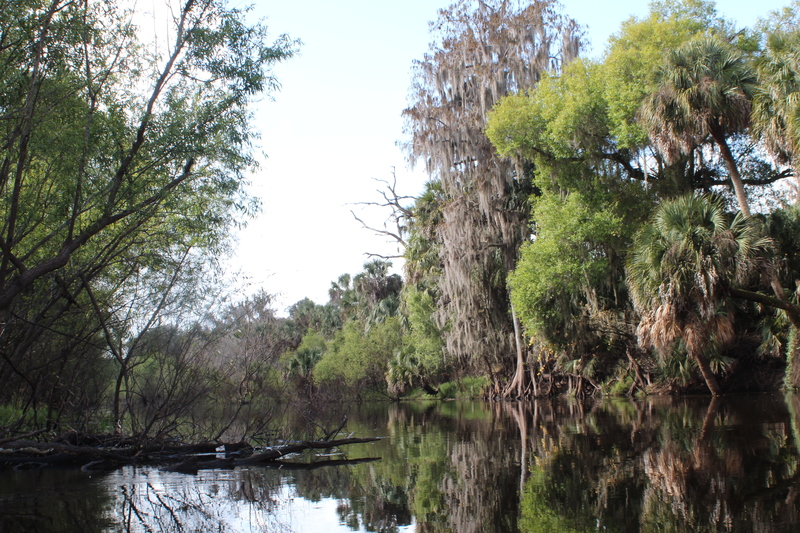 I noticed the largest softshell turtle (@20″ across) ever, sunning – along with deer, turkey, Osprey, a larger species of Blue heron, and more – all leading me to presume they are living in a pretty satisfying environment. 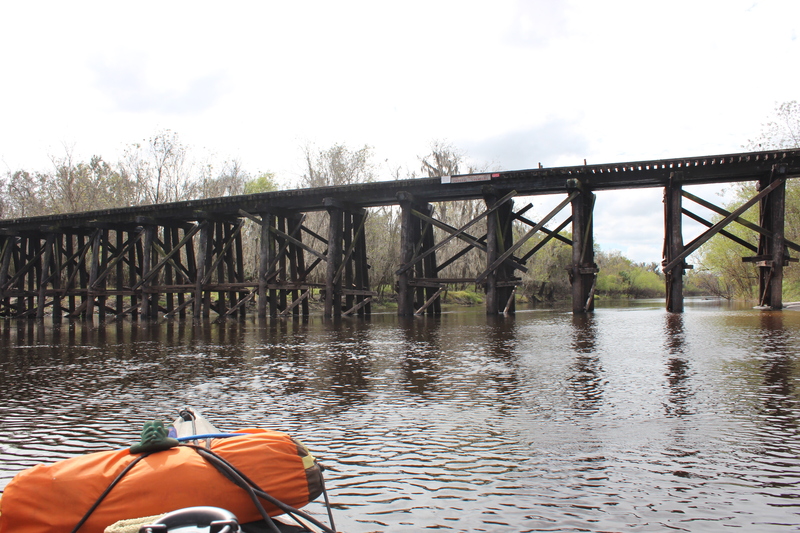 If you need mile-markers or landmarks, there are few (just follow the current) on this river. 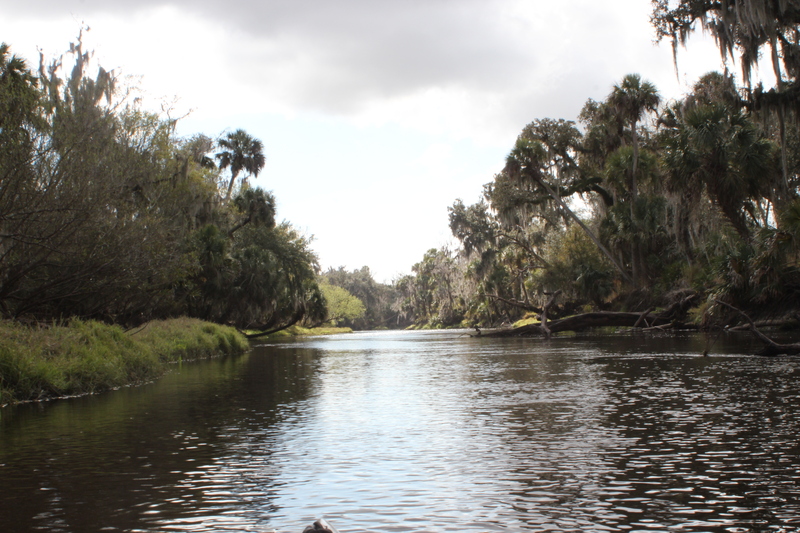 This river flows through a mass of privately owned land – older Florida land. ‘Low-impact’ (“live, eat, and breathe the woods – and then move on”… tgh) camping is only allowed along the right bank, you’ll sleep with the critters for sure. 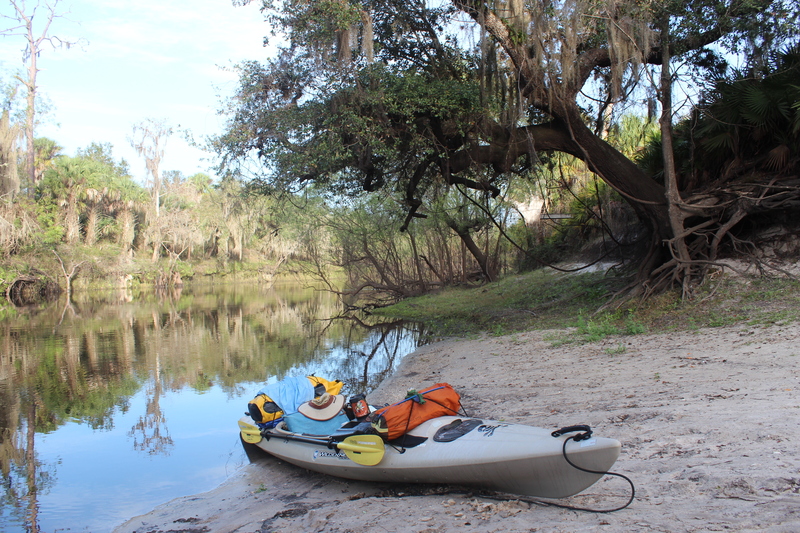 I was prepared for this type of primitive camp, yet with a very relaxed paddle rate made the half-way point of Gardner easily on the first day. It changes through a prairie-like setting where ‘range cattle‘ roam and live among the wild – first thing you’ might notice is that the cattle have lived with the deer so long they think they are deer – exceptionally skiddish and wary. 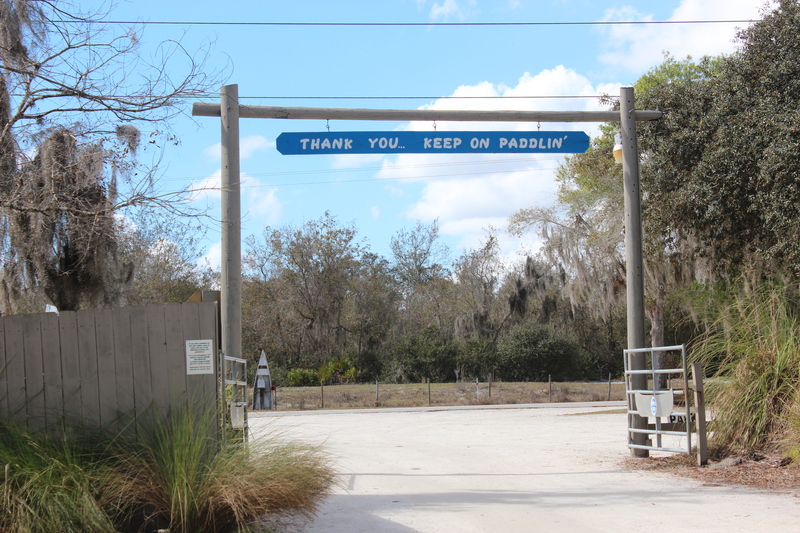 Side note: the largest cattle ranch in America is not in Texas – it’s in Florida. 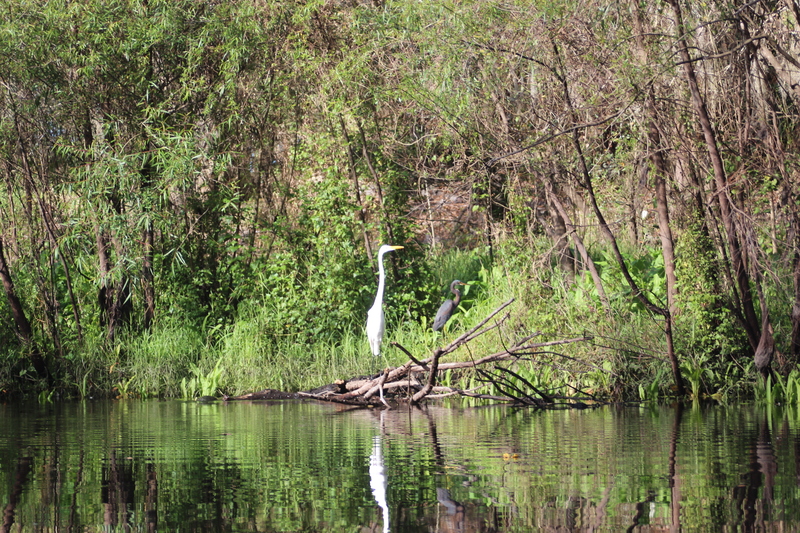 Simple beauty amidst no noise, only the occasional plastic water bottle to bring me back to reality – doggone people……. 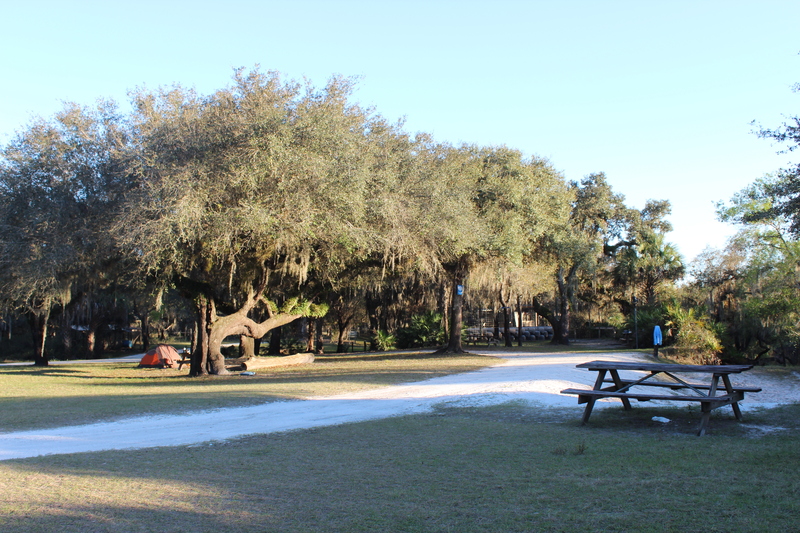 The Outpost’s campsite was neat with cold-water showers and a bathroom available – easy call, the tent came out early. I’ve paddled a few distances and am lead to believe that ‘a good paddler goes down, – and rises with the sun’ (doesn’t always work – but I try). 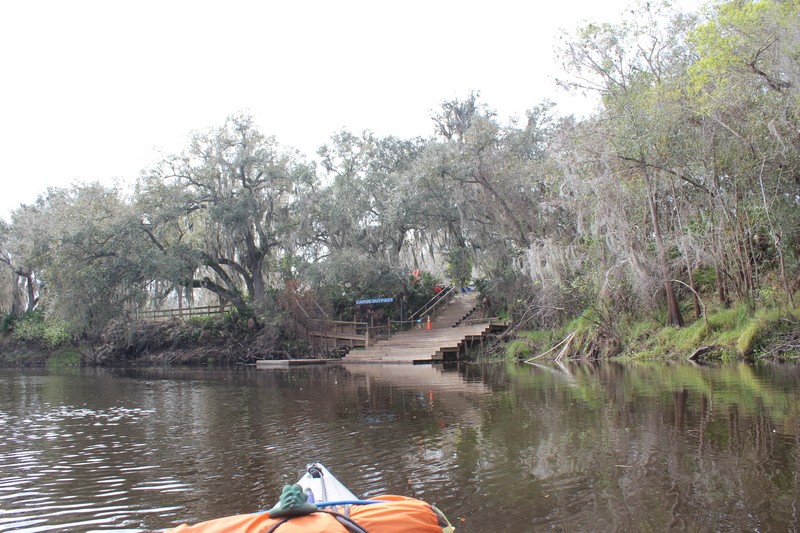 The Outpost folks also have an additional campsite available to it’s customers further downriver – for day-paddlers and youth groups, its their way of doing all they can to expose this river’s quality to others (nice camps CO). 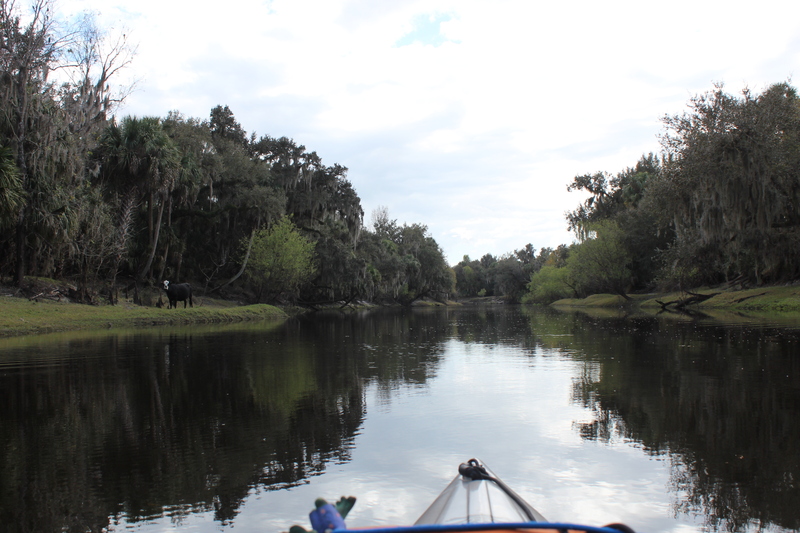 The next morning tracks around my kayak near the shore indicated that a range cow had wandered through sometime during the night – all’s I heard was the owls. 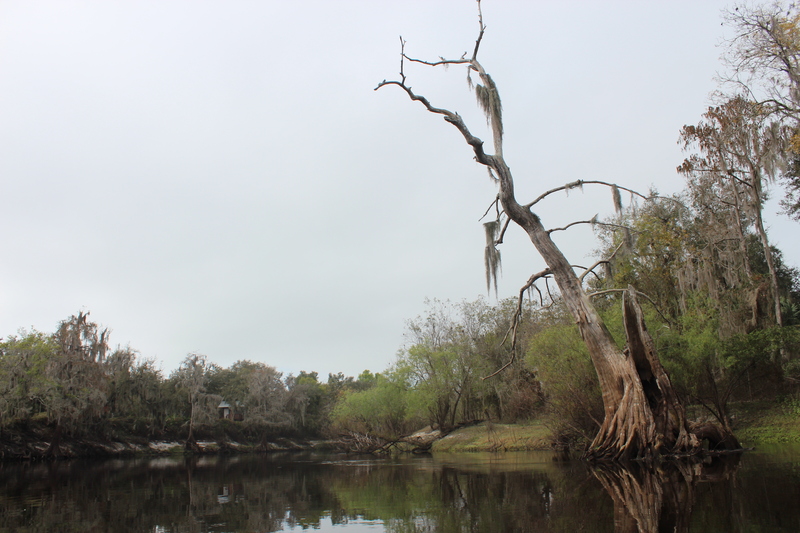 Even at a slow pace I was back on the water at 830a once again, feeling blessed while drifting and contemplating the setting with a standard cup of river-jolt. .
Cypress stumps, actually exposed roots – new foundations, natural seawalls. 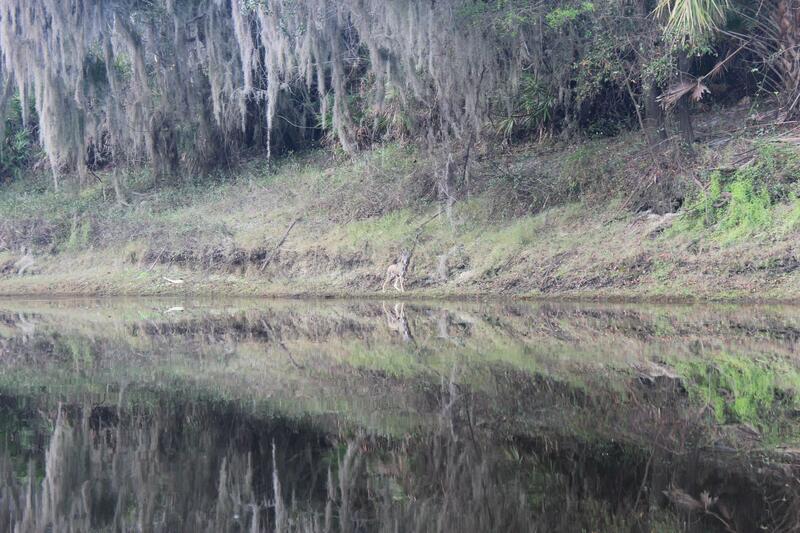 Easing along the placid waters and just around one bend there was something swimming across in the water ahead (gator-bait), only seeing its head I thought it to be a wild pig. Quietly easing closer a coyote climbed the far bank (above) and stood a moment – then with a single glance towards me he was a distant memory! 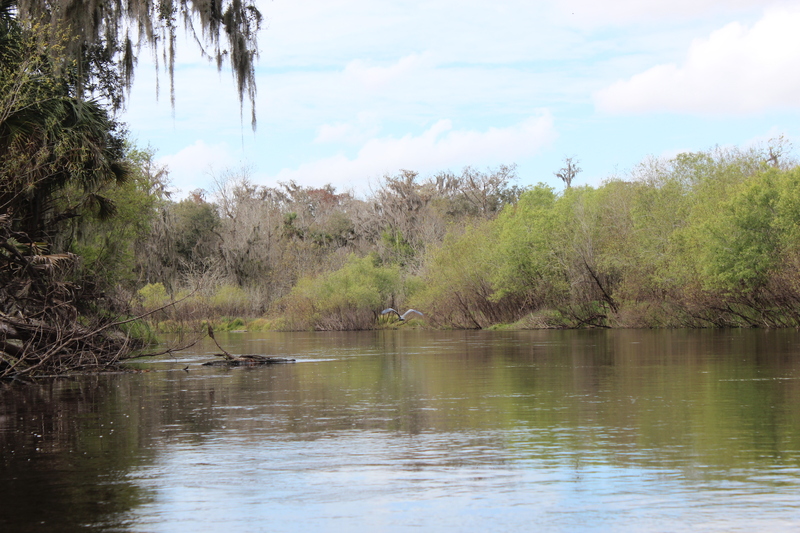 While on the river I paddled alone, stealth-like, and with the current – in the distance I noticed a fisherman with lines out, the only one I had seen thus far. 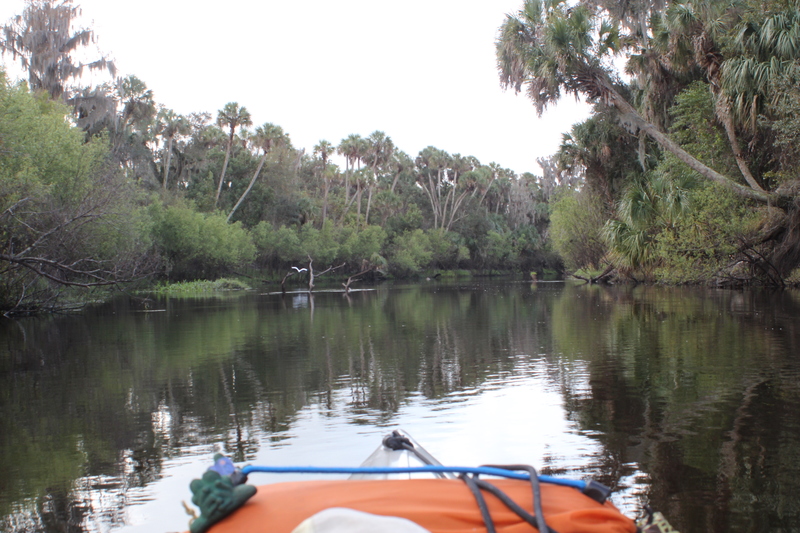 When paddling like this it is possible to slip up on wildlife – and at times, folks. This guy was really into his fishing and as I reached this point I said hello and snapped the picture – startled, he was all teeth – nice guy. Drifting past we made short conversation – the incident reminded me of paddling up on some fishermen at Lake Powell once, even entered into their conversation before they even noticed this stranger, funny. 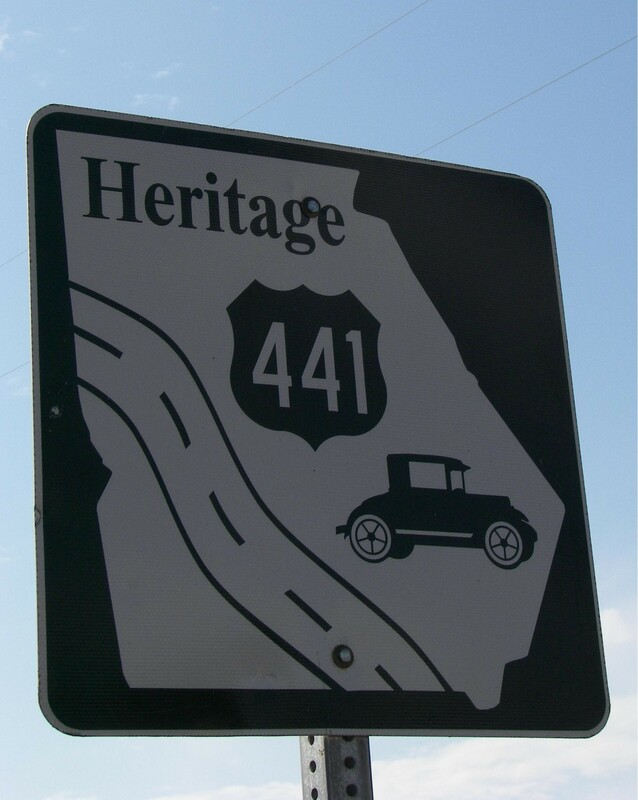 With all the ancient history of the terrain, fossils (like along the Suwannee) are there if you seek. This is Sam and Perry (she is Sam, not short for Samantha). From Indiana they were eager to discuss and show me their booty of ancient finds – an assortment of animal (mostly shark) teeth and some fossilized bone. It was a good stop and conversation with some interesting folks. More Peace river fossil hunting information. The Outpost. 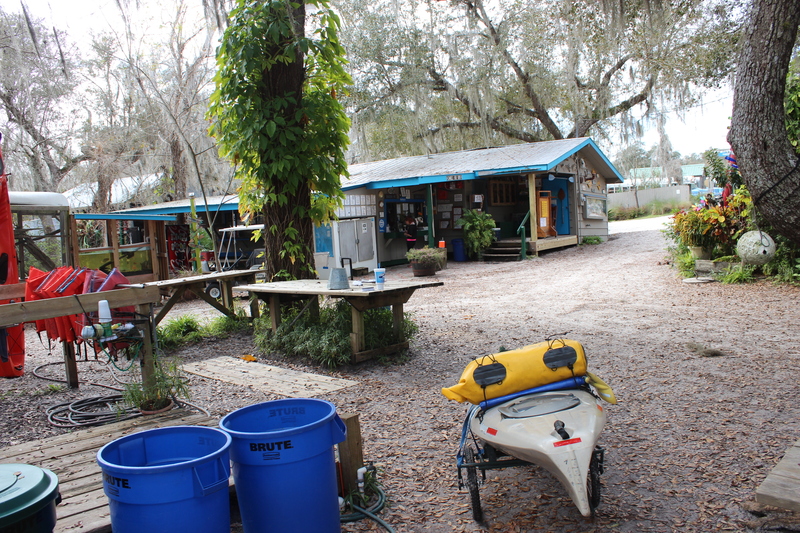 Folks were great, I know that its their business – but to this point the folks Canoe Outpost seem more than eager to help. I liked the trash and recycle containers available, a good direction for all. Notes; Zolfo to Gardner ez 6.5 hours (direct line 20 mi). Gardner to Outpost Arcadia ez 5 hours (direct line 15 mi). 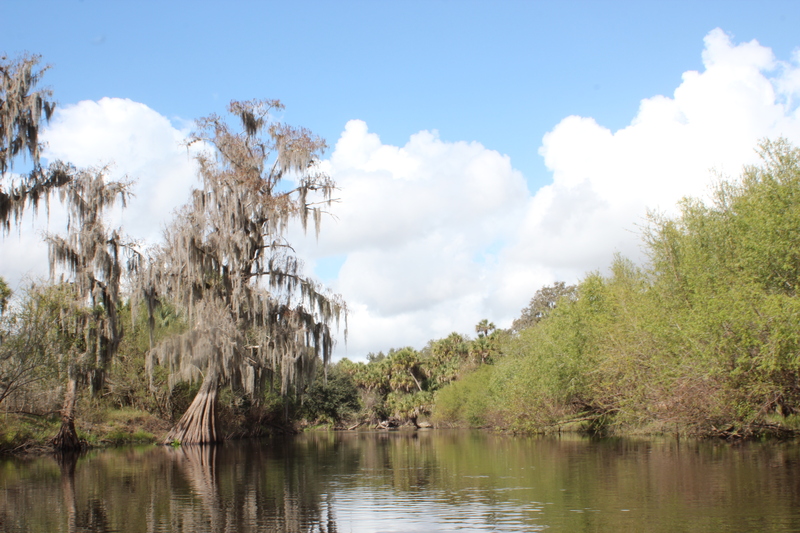 $50 buck shuttle to Zolfo (worth it), Airboats heard down river from Arcadia – my trip was during the week and I encountered neither airboats nor other paddlers – but it is possible (just part of it). It was just like you remember Al. – this world needs a little more – peace. As always, LOVE your stories and pictures! 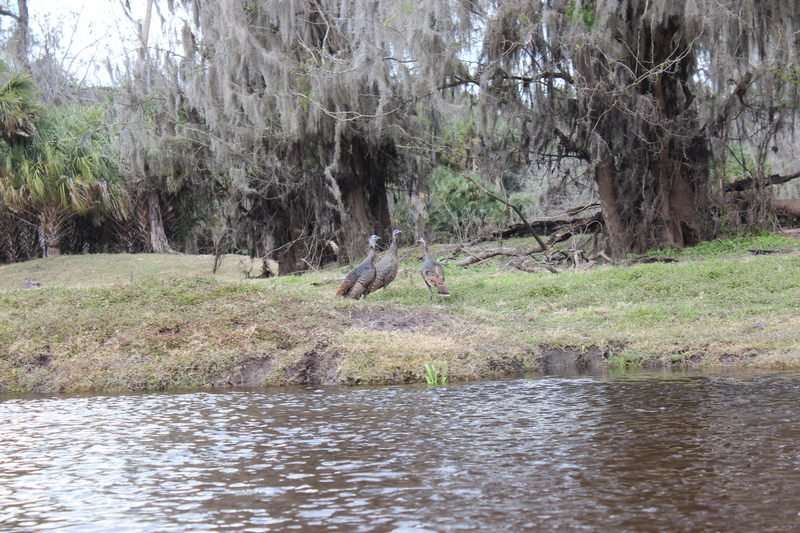 I have to tell you, that although most of the time, the Peace River is exactly that, it is also prone to flash floods. Case in point: I was at Girl Scout camp in Arcadia. 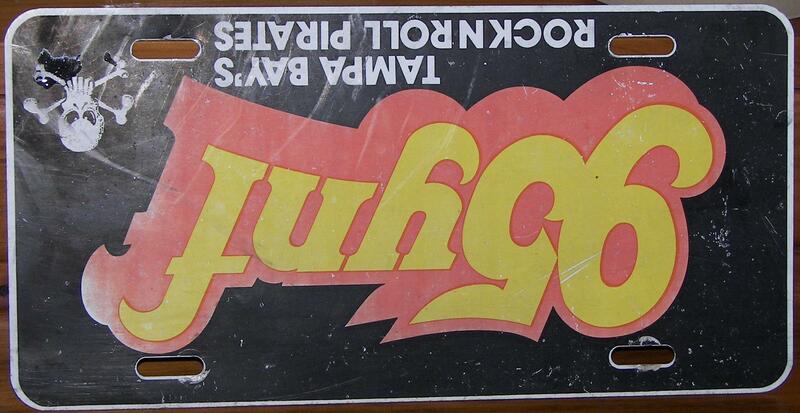 Must have been when we were in Junior High. 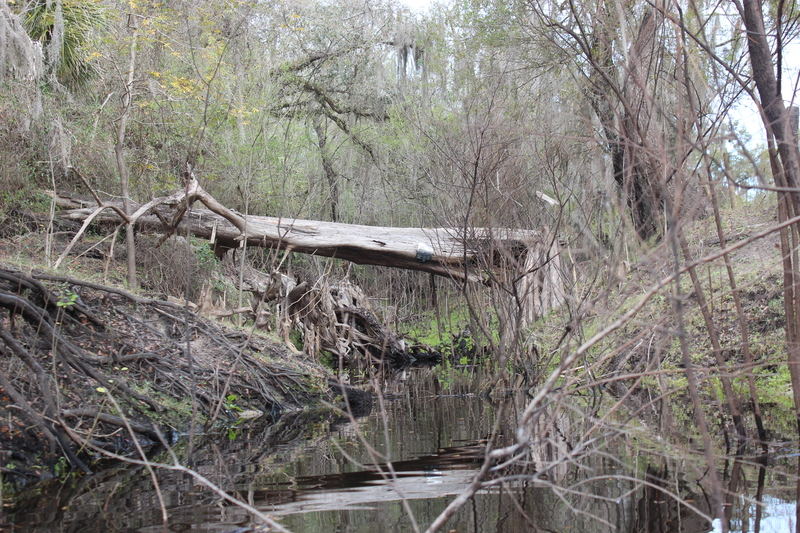 The camp was about 1/4 mile from the river, but all the tents were on wooden platforms. (too young to know what that could mean!) Sometime during the latter part of the week, it rained all night. 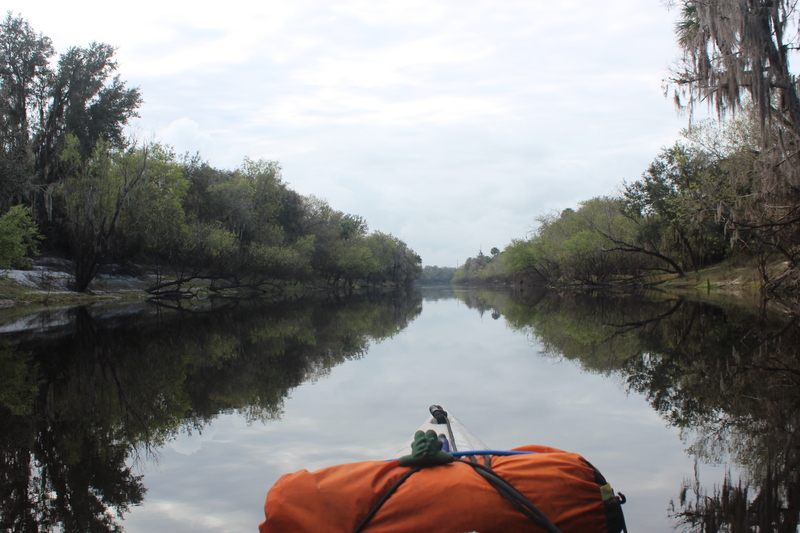 We were woken up at sunrise by the counsellors ourside our tents in canoes! We had to be paddled out. 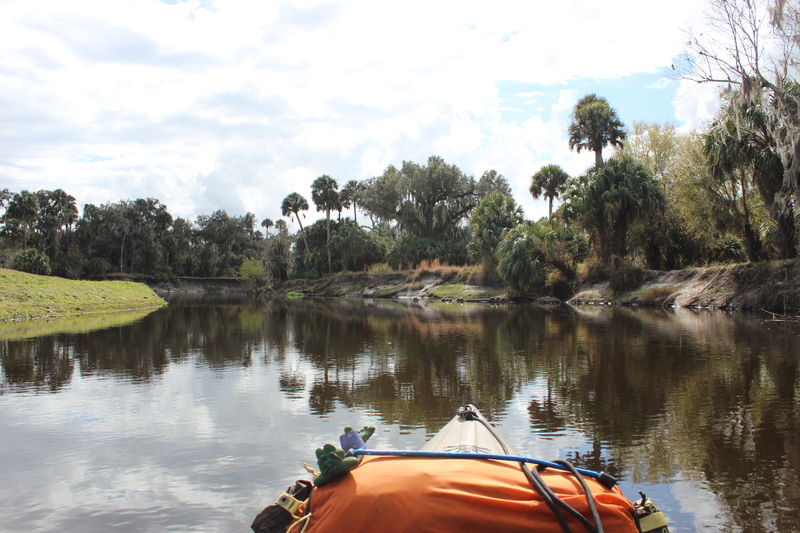 We had to leave our gear, which was later transported to the Girl Scout house in Ft. Myers (a week later!). Mom brought George with her to pick me up. He loved my adventure. Needless to say, our gear was mostly ruined. But I will always respect that river. Beautiful, peaceful, but quetly waiting for the next big rain fall. 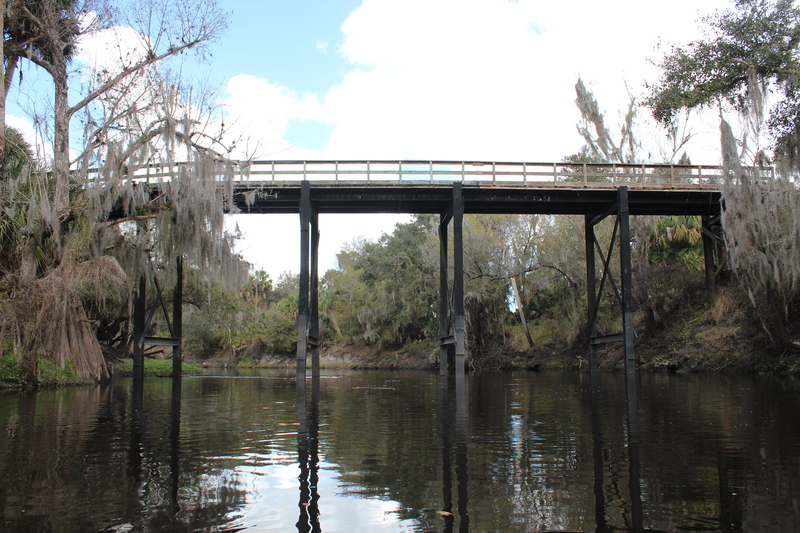 The Girl Scout camp Chantyatah in Arcadia in no longer there because of the annual summer flooding. The camp was in a low lying area and it limited the use of the facilities. Tom, you paddled past the old camp. The Oak Hill area adjoins the camp on the south on the west side of the river. Going to date myself but I have pictures of my sister and I at the grand opening of the pool at GSA Camp Chantyatah in the 60’s. 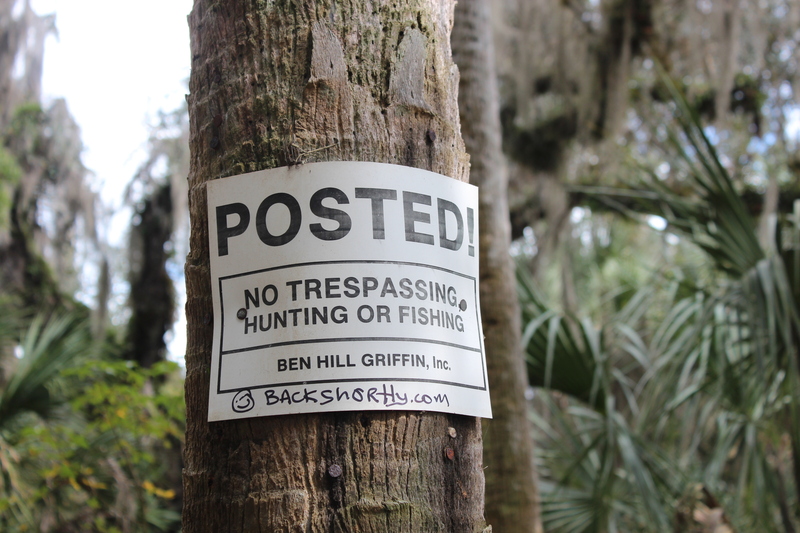 Thanks Becky – I appreciate the information/support/follow-up of the folks there at the Outpost. 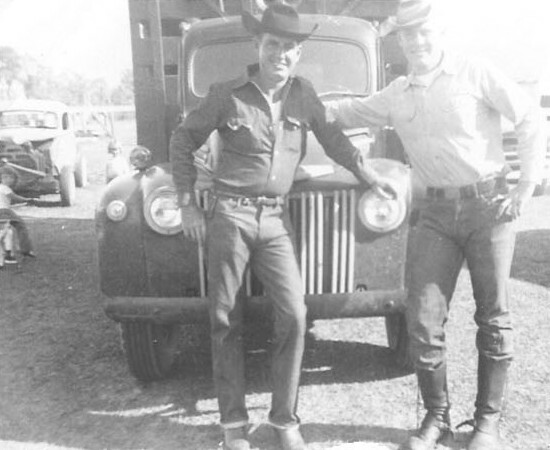 We’ll see you guys again….